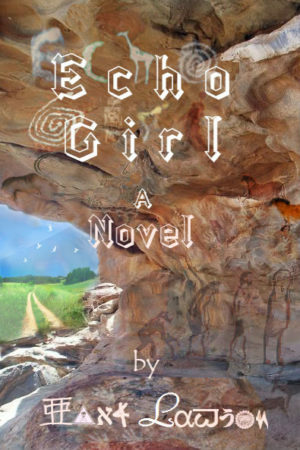 In ECHO GIRL, Audrey Silver, 31 and agoraphobic, globetrots to save an infant whose DNA could defeat the fear behind man’s history of violence. She’s chased by terrorists, zealots, and slave traders. Audrey is also chased by her mother, a major general, determined to return Audrey to Israel’s army and the violence Audrey abhors. TWO HORIZONS tells of Mehi, 18, whose father is a tomb-robber. 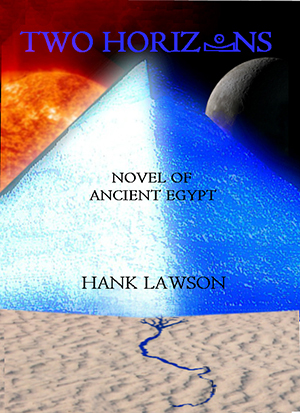 Mehi’s quest to rescue his family’s honor increasingly converges with God-king Khufu (aka Pharaoh Cheops) who perfects his nation. Both quests are fraught with love affairs, rival brothers, and a mad prince. At the climax, Mehi’s and Khufu’s quests intersect inside the Great Pyramid. People need books with an epic background. They are bored with books that tell only one story on one level. They need something fantastic, something that gives them a sense of living in history. Hank is also the author of several short stories. You can read them over on the Short Stories page.